C’mon! Go to a Gaming Convention! 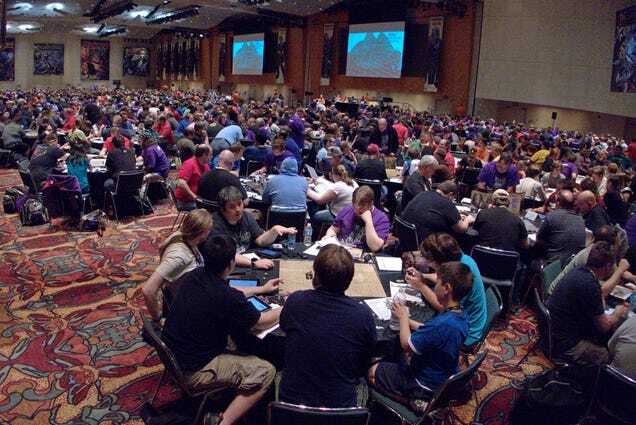 This month’s RPG Blog Carnival‘s theme is “Convention Gaming” chosen by Mark over at Creative Mountain Games. This is a great topic considering Gen Con kicked off the beginning of August. 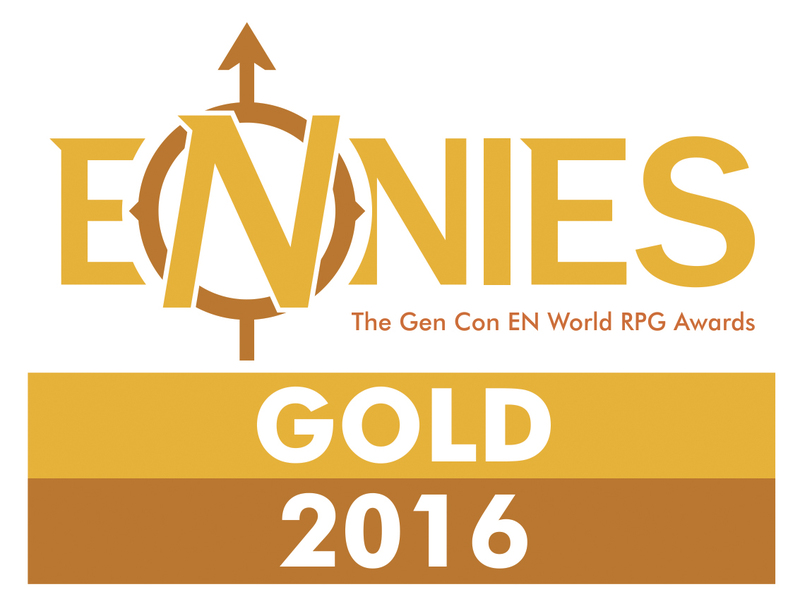 If you missed Gen Con, fear not! The Tome Show has you covered. This awesome Dungeons and Dragons news, reviews, and interviews podcast network features many a fine show (including three hosted by yours truly) and shows up at Gen Con every year to record interviews and seminars. Even if you were at Gen Con you should check it out because we may have caught some stuff you missed (like press interviews with fifth edition D&D lead designers Jeremy Crawford and Mike Mearls). Moving on from that shameless plug, it took me a while to figure out what I wanted to say about convention gaming. I love going to gaming conventions and have plenty of advice to give, but many have already covered the topic in-depth far better than I ever could. Mike Shea has the best Gaming Convention Survival Guide over on Sly Flourish. And the host of this month’s carnival, Mark, has already written some great advice about running a game at conventions. I’m sure more advice on how to be a great player or get the most out of a gaming convention are sure to come. So what can I do? I’m going to tell you why you should go to a gaming convention. Here’s some reasons gaming conventions are great! If you’re like me then you’re a gamer who grew up in a community of folks who mainly did not play tabletop games. Sure, I am lucky enough to be close to my brother Andrew, who introduced me to D&D and still enjoys great board games to this day. I imagine if you’re playing tabletop games then you must know at least a few folks who are also gamers and those are the people you play with. Still, we live in an age where many who love Marvel movies and the Batman Arkham games still think of tabletop games a bridge too nerdy. No one who thinks that attends a gaming convention. Ever want to try Pathfinder? 13th Age? Call of Cthulhu? Night’s Black Agents? BattleTech? Warhammer? Love Letter? Boggle? Well at gaming conventions you can sit down at a table having read no rules and play almost any game for hours with very little or no cost. There’s always someone at every table dedicated to teaching the game and providing the supplies needed. Imagine getting to play Warhammer without having to buy a single miniature or paint a darn thing. Imagine sitting down to play 13th Age without having to read a giant rulebook or take the time to make a character. The people running these games are always happy to see new players trying out the game because it means more support for what they love. Do you have a copy of Car Wars you’ve read 1000 times, but never found anyone who would play with you? Do you think OD&D is the best edition of the game and can’t find players who agree with you? Are you looking for a game that has the edge of Cards Against Humanity, but has the complexity of Risk? Gaming conventions are the place where you can find folks who want to play older, out-of-print games, rare games, or just games that don’t have a large audience. If you’re looking for weird and don’t know what, just take a look at the list of games offered and you’re sure to find something that will light your fancy. Even the smallest conventions usually have some exclusive adventures or games that can only be played at conventions. For instance the D&D Adventurers League Epics are adventurers that can only be played at conventions. True Dungeon is an experience one can only be played at Gen Con. Other companies might be doing exclusive playtesting of new games only at conventions. It seems almost every gaming company has some experience like this which can only be found at conventions. If it’s not an adventure or game, many vendors are selling or giving away freebies that can only be snagged during a convention. Special dice, books, miniatures and more are given away all the time to those who visit booths, wait in the right lines, or play certain games. Then there’s the talent who shows up to conventions. Again even small conventions are sure to have at least ONE of your favorite designers, artists, actors, comedians, authors, bloggers, or podcasters. If you see someone you recognize and want to go thank them for their work go ahead and do it! People are always happy to have some praise for their hard work and talk games with others who love them. It’s not all about playing organized games. Most conventions have parties, concerts, contests, scavenger hunts, demonstrations, seminars about game design, seminars about creative writing, seminars about what’s coming next from your favorite gaming company, and way, way, WAY more. You can meet lots of people, go out for fun meals with friends, and plays loads of pickup games with anyone who happens to be walking by. It is gamer heaven. Last year was my first Gen Con. I went with my pal and fellow podcaster, Rudy Basso. We’ve been friends since college and play tabletop games with a whole bunch of friends from our alma mater. Last year we sort of decided last-minute we’d go to the convention, but we thought that this year since we planned ahead and had a sweet deal on an amazing hotel room that at least some of our friends would decide to go with us. We were wrong. Our friends could not make the trek to Indianapolis, stay for four days, and pay all the money required for a lot of really good, really valid reasons. Some have families they can’t leave, others had work commitments, others were low on funds, and others didn’t have the vacation days. Totally understandable. Here’s the thing. I’m not saying you have to go to Gen Con. I’m saying you should go to ANY gaming convention for the experience. If time and money are a factor, try to find some place close and go just for the day. There’s tons of gaming conventions out there. They’re all run a little differently. Some have you wait in lines for games… others make it so you can register beforehand. Rudy and I are still working on our friends. Maybe we’ll get them to attend a more local con with us… and if not that… we’ll create one! Stay tuned.